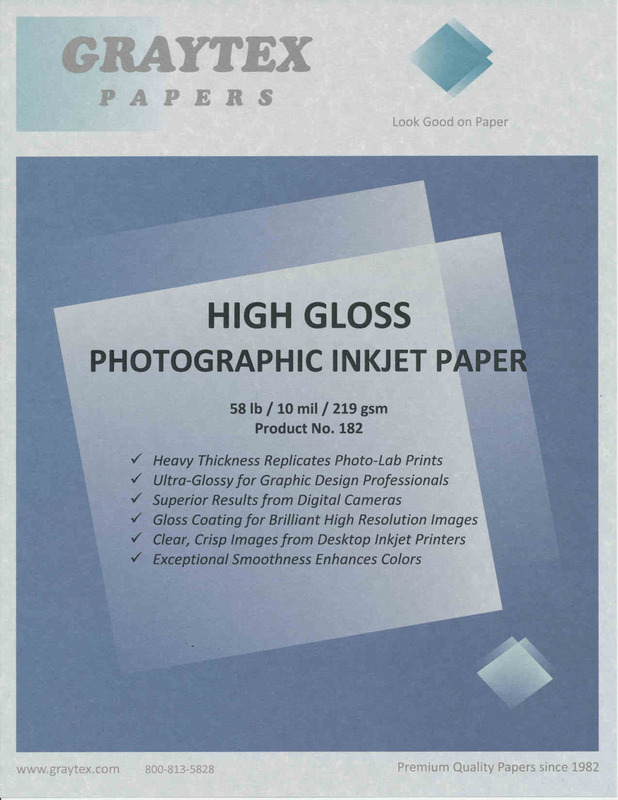 An ultra glossy, cast coated inkjet paper enhanced for the graphic design professional’s color proofs and large format images. Designed for superior results when printing from digital cameras, CD-ROMs, scanned images, or the internet. Use for brilliant high resolution images with superior gloss. Ideal for clear, crisp images from desktop inkjet printers. Pleasing bright blue-white shade for vivid and colorful graphic images. Blue-white shade is the technique which provides the enhanced brightness appearance. Quick drying and compatible with all inkjet printers. Exceptional smoothness allows for color reproduction as close to the original as possible.